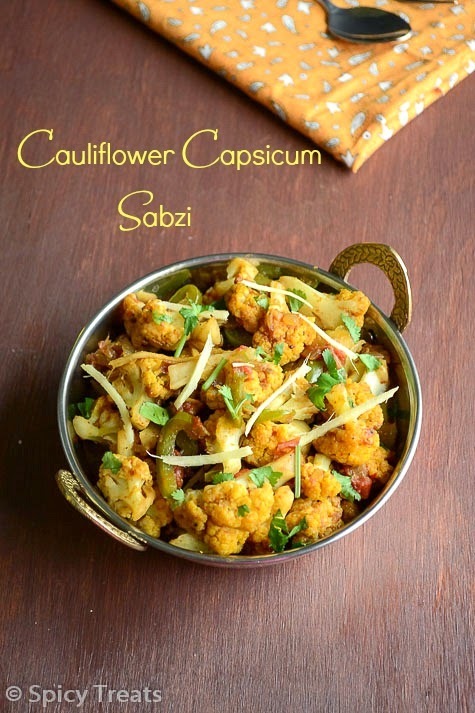 Spicy Treats: Cauliflower Capsicum Sabzi / Cauliflower Sabzi - Easy Side Dish For Chapathi ! Total Time 25 minutes or less. Bring 3-4 cups of water in a saucepan to boil, when its starts boiling add the washed n chopped cauliflower florets wait for 2-3 minutes then switch off the stove. Then drain it using colander and wash the florets in cold water and drain well and keep aside. Heat a pan, then dry roast dry red chilli, coriander seeds, clove, cinnamon, fennel seeds for 1-2 minutes and allow to cool for a while and grind it to a fine coarse powder. After that heat oil in a pan, when it gets heated add cumin seeds allow to splutter then add finely chopped onions and saute until it turns golden brown. And then add tomato puree or tomato paste and saute until the moisture dries and oil shows on top. Now add the roasted and ground powder stir fry for a minute and add sliced capsicum and stir fry for a minute. Then add cauliflower florets and turmeric powder and stir with the masala for 2 minutes in high flame. 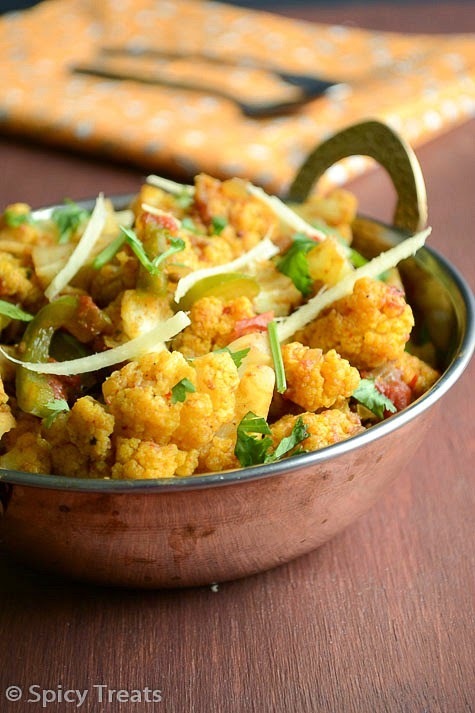 Once the cauliflower gets blend well with masala add some finely chopped cilantro and switch off the stove. 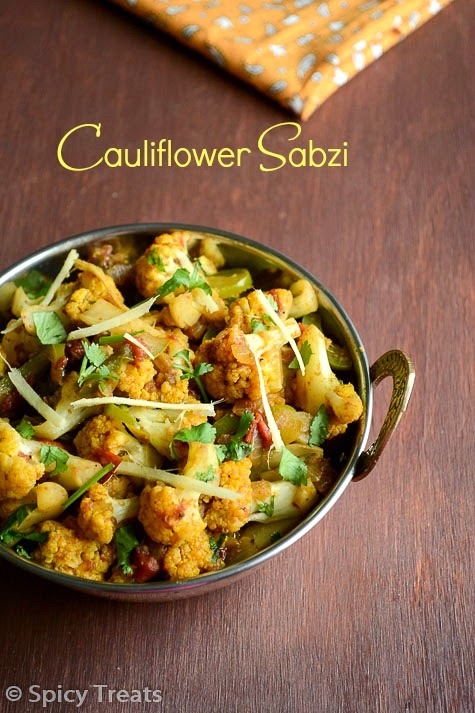 That's it...Tasty Cauliflower Capsicum Sabzi. A wonderful side dish! Going to make some cauliflower stir-fry for the lunch. Excellent and mouthwatering looking vegetable preparation. 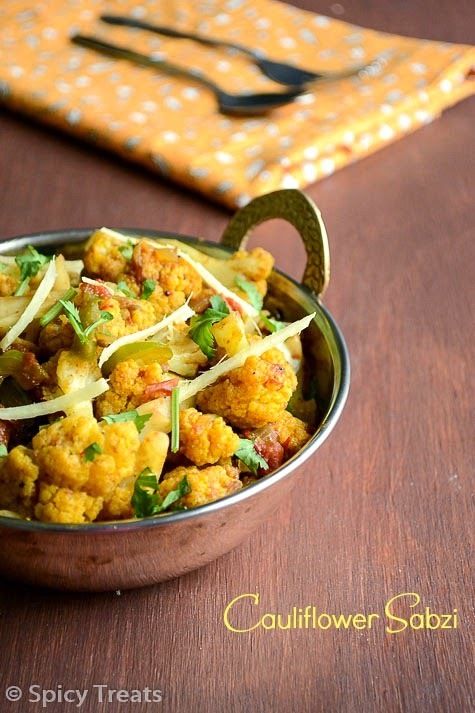 Delicious and yummy side dish for chapathi. One of my fav side dish. Very quick and delicious sabzi, i can have with some rotis happily.. 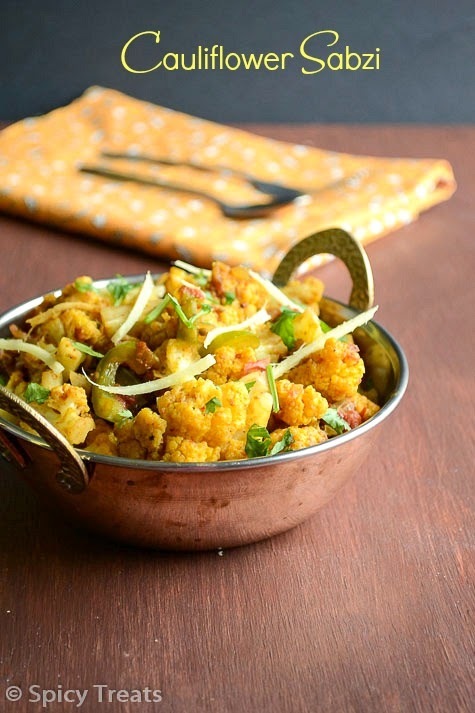 The sabji is cooked to perfection & loved all your clicks. I love my veggies this way crisp & not very cooked. We are so used to these gadgets, know how hard it is, the sabzi looks perfect Sangee..